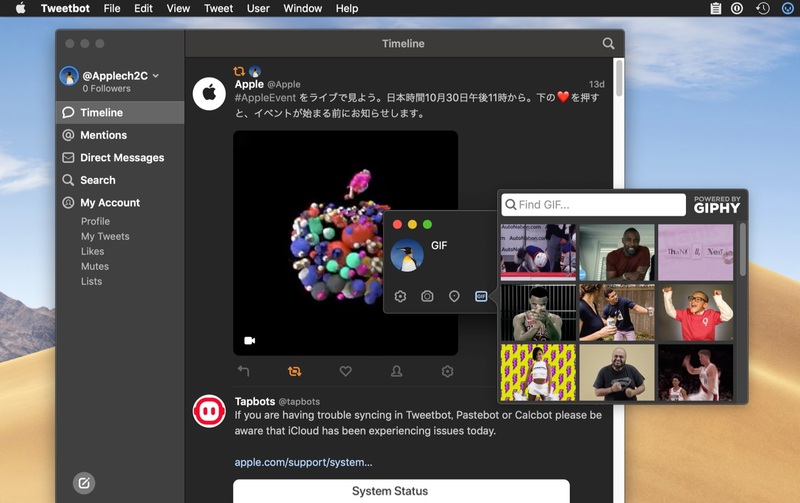 macOS Mojaveのダークモードにあわえてテーマを切り替える機能やGIFアニメをサポート「Tweetbot for Mac v3.2」がリリース。 | AAPL Ch. 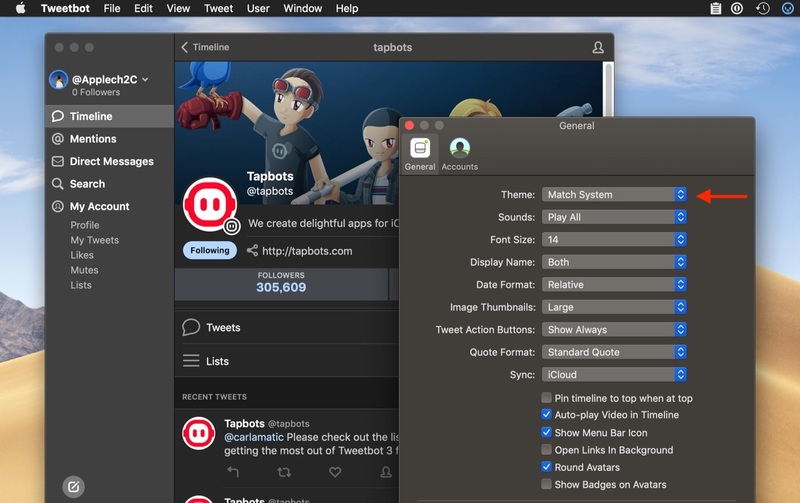 Option to match theme with OS setting (Mojave). Gif support in the compose window (Powered by Giphy). 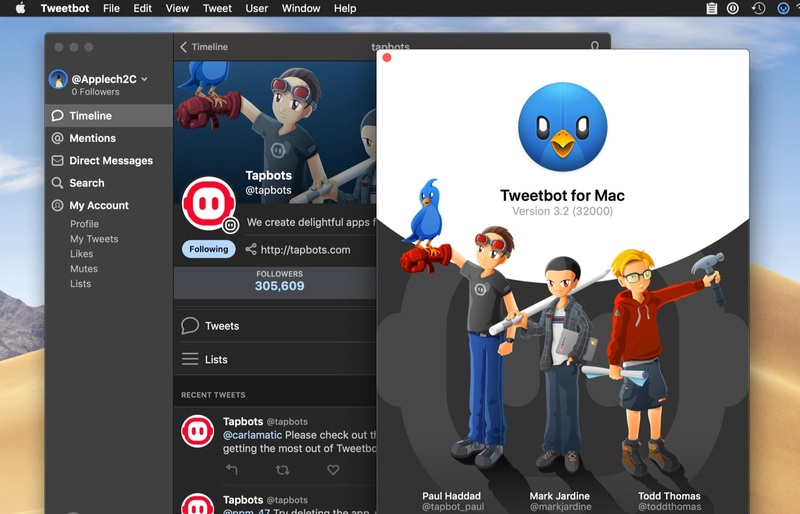 Fixed display issues with Mojave incuding dark theme fixes. Fixed an issue where old notice windows were not being recycled in Mojave. Fixed an issue where if you quoted one of your own tweets, you could end up with an unread mention you couldn’t get rid of. Fixed an issue where you could be writing a DM message in a new conversation and the conversation could be lost if you navigated back one level. If you open media from the “recent media” section of a user’s profile, there’s an option to see the tweet associated with that image/video. Small improvements to the drafts window.